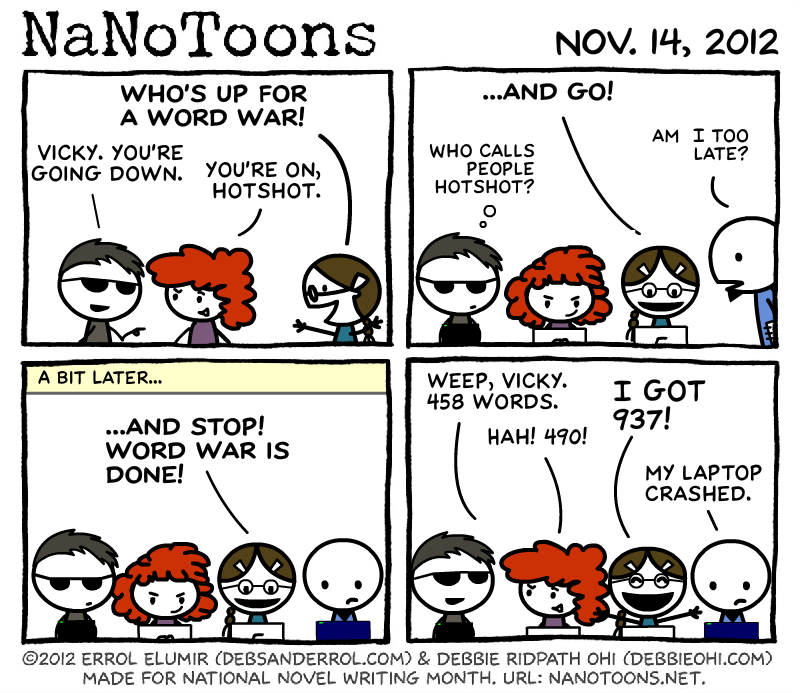 Errol: If you are unfamiliar with word wars, hopefully the above comic gives an idea? You set a time, and the person who writes the most words wins! Oh! And this is appropriate for the third episode of NaNoMusical, which you can watch here. Debbie: Love this episode of NaNoMusical, Errol! !